‘’I am really sorry Dorothy. I wish there was another way. I wish I didn’t have to tell you this’’ Mr Adams said fast, as if trying to get it over with , his eyes trying to avoid hers. ‘’ I understand Mr Adams. Layoffs are necessary. It makes sense to fire someone my age, than a new employee, half my age. I cost the company a lot. ‘’ Dorothy said, a forced smile on her face, desperately trying to push back the tears that were threatening to fill her eyes. ‘’It is just the truth Mr Adams. I am not afraid of the truth.’’ Dorothy said, slowly pronouncing every word in an attempt to control her trembling voice. ‘’But one of the best paid ones. Twenty years of experience and two small kids come with a high cost.’’ Dorothy said biting her lower lip and squeezing a pencil she picked up from the desk. ‘’ I could offer a cutback, but it would have to be 50% from what you make now, and I feel this would be insulting to you. Furthermore, I know it wouldn’t be enough for you to make ends meet anyway.’’ Mr Adams said trying to reach for her hand. Dorothy quickly stood up, her eyes burning with a fire she didn’t know she had in her. Dorothy squeezed the pencil so hard she broke it. Her fears and her pride were fighting hard. She wasn’t sure at all if anyone would hire a fifty year old single mother with two small children but she didn’t want Mr Adams to know. But she had to let him know. She didn’t care for herself. But she wanted to make sure her children would not be deprived of anything. She wanted to make sure they would both go to college. She wanted to make sure they wouldn’t have to clean rooms to survive like she did. So, she sat down again and took a large sip of water to wash down her dry throat and her hurt pride. ‘’Can you please write a recommendation letter for me? It would help me get a new job at another hotel. It doesn’t have to be a room attendant job, I could… I could do anything.’’ she said, her eyes focused on the floor. Silence. A few seconds of silence that looked like hours to Dorothy. Mr Adams cleared his throat. ‘’ I am sorry too Mr Adams.’’ Dorothy whispered. ‘’ I wish you all the best Dorothy.’’ Mr Adams said, offering his hand. She squeezed it for a second then quickly stormed out of the room and ran to the elevator. The moment she entered the elevator she leaned against the door and finally set her tears free. Being laid off was certainly not the gift she expected for her 50th birthday. Thinking of how to make ends meet was not the way she expected to celebrate. For the first time in her life, she was not in the driver’s seat. Life was forcing her to take a trip she wasn’t prepared for. 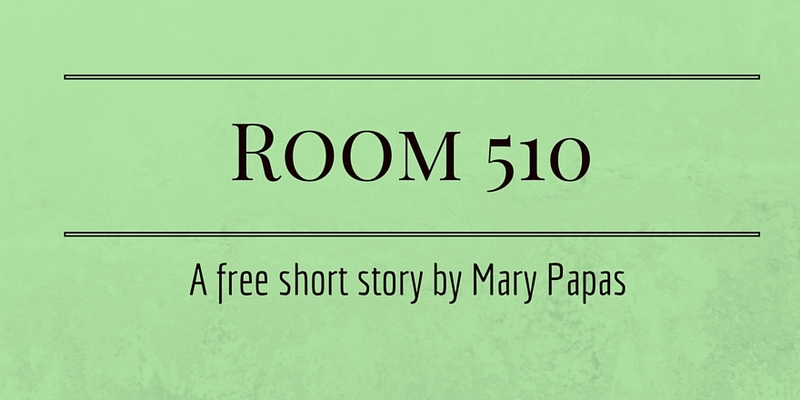 Dorothy entered room 510 and closed the door behind her. She cleaned up the bathroom; changed the toilet paper, left new clean towels, soaps and foam baths. She did it all slowly, trying to devour each second, knowing it was her last time. When she entered the bedroom, a small black suitcase on the right side of the bed immediately caught her attention and stopped her in her tracks. The customer must have forgotten it there! She went close, wondering what to do. She had to find the customer, Mr Badison. She remembered him, he had been there before. She checked her notes, looking for a cell phone number; there wasn’t any! Great. How would she find him now? No worries Dorothy, she told herself. Sooner or later, Mr Badison would realize he forgot his suitcase in his room and would contact the hotel himself to ask for it. He would get his clothes back. There were clothes in that suitcase right? RIGHT? What if there was something else? Something more important than clothes? Dorothy had to know. This went against her morals, but she had to open that man’s suitcase to see for herself. She took a deep breath and opened the suitcase. Her eyes opened widely. The suitcase was full of money. More money than Dorothy had ever seen in her entire life. Enough money to make sure her children and her grandchildren would have a happy life. Enough money to make sure she would never have to work another day in her life. She quickly closed the suitcase and pushed it aside, ashamed of her thoughts. She was not that person and not even a layoff could make her that person. She had to find Mr Badison and hand him the suitcase. No one from the hotel should learn about it; in all probability they would take the money, all of it and then play dumb about it. She checked her notes again; Mr Badison hadn’t left his cell phone number but he had at least left his office number, YES! She called that number, asking for him. His secretary told Dorothy Mr Badison was there but in a meeting-she asked to interrupt him , it was urgent! The secretary said she couldn’t do that. Dorothy gave her cell phone number to the secretary who said would inform Mr Badison as soon as the meeting was over. The new customer would arrive in a few minutes; Dorothy had to think fast so as not to raise any suspicions. She called and asked for a cab. While waiting for the cab, she put the small suitcase inside a big plastic bag and then managed with difficulty to cram the bag into her own (big) suitcase. She decided to wait for the cab at the hotel entrance. The cab arrived shortly after she got to the entrance which was both good and bad. Good because she didn’t have to worry about others finding out her secret, bad because she barely had the time to say goodbye to them. Just as the cab driver asked where they were going, her cell phone rang. It was Mr Badison. Knowing she had to be discreet, Dorothy told Mr Badison ‘’she had to bring him the clothes he left at her house last night’’ praying he would be able to break her code. A few seconds of silence from the other side of the phone line and the cab driver’s wink made her heart start beating fast. Mr Badison finally gave her an address which she immediately told the cab driver. ‘’ There is a gorgeous cafeteria there. Secret date with a married man huh?’’ the cab driver chuckled. Dorothy suppressed her urge to snap at him and forced a shy smile. ‘’Don’t worry love. My lips are sealed.’’ the cab driver winked at her again. As soon as she arrived at the cafeteria, Dorothy looked around and recognized Mr Badison, a tall, dark handsome man, with a confident smile, in an Armani suit. She could have an affair with that married man, she thought before she mentally slapped herself for doing so. She went to his table and sat on the chair next to him. ‘’I have something that belongs to you Mr Badison.’’ she said. He quickly opened his suitcase, his eyebrows raised. He looked at her, then back at the suitcase. ‘’It is all there. I swear. I didn’t touch anything. You can count if you don’t believe me. ‘’ Dorothy said quickly. ‘’ There are two millions in there. And you haven’t touched a thing,’’ Mr Badison said, his eyebrows still raised. ‘’ I could never do that . Even though I just got laid off and the chances of getting another job are mimimal to zero in my age and I have no idea how I will make make a living from now, I could never steal money. Not from you, not from anyone. And it is my birthday today. The irony huh?’ Dorothy let it all out without realizing it, not being able to control herself any longer. Mr Badison’s eyes twinkled. He reached in his wallet and pulled out his chequebook. ‘’Let’s put those fifties and those zeroes to good use, shall we?’’ he said as he wrote a cheque and gave it to her. Dorothy looked at the cheque, then grabbed a glass of water and drank it all immediately. ‘’Five hundred thousand dollars?’’ she asked. ‘’ For a happy birthday. A happy life. And a thank you’’ Mr Badison said, raising his own glass on a toast. You can read more works by Mary Papas here.